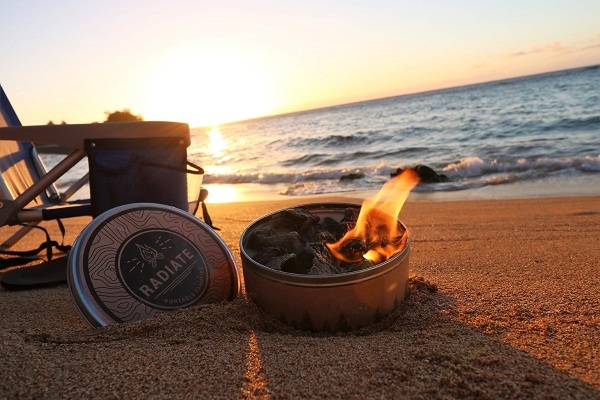 This is not a huge bonfire, it’s a small fire in a can, it’s 8×3.5 inches so it won’t be exactly like the more traditional fires that you’re likely used to but it’s good in a pinch of roasting some marshmallows or telling spooky stories on the beach. It’s super light weight and easy to use. The can is filled with soy wax and recycled paper pulp. Just light it up and it will burn for about five hours. When the can is empty, you can refill it with more and take it on another adventure. 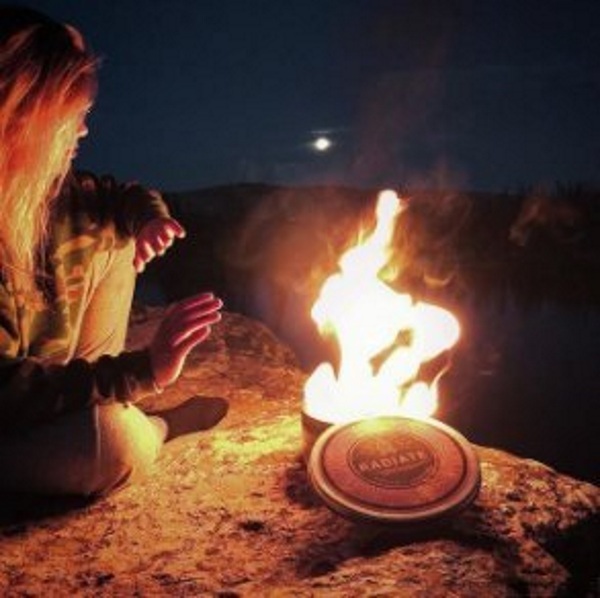 It’s good for small spaces or as a campfire backup when you’re going out into the wild. You can get your own for $49.99.